Don't miss a morning of encouragement, great food and rich fellowship. 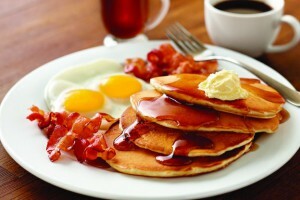 On Saturday, July 8th @ 9am you're invited to join us here in the Fellowship Room for another Men's Ministry Breakfast. You can register online at crossroadsbakersfield.com or here on campus after Sunday services. The cost is only $10, so why not buy two tickets and bring a friend! See you there!